PULLMAN, Wash. – Overcoming key obstacles that prevent wood-based jet fuel and petrochemical substitutes from being economically viable is the focus of a new $40 million project of the Washington State University-led Northwest Advanced Renewables Alliance. NARA includes a broad consortium of scientists from universities, government laboratories and private industry. 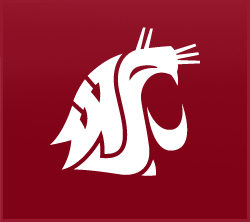 U.S. Department of Agriculture Secretary Tom Vilsack this morning announced that WSU and University of Washington each will receive a five-year, $40 million grant to help develop alternatives to petroleum-based fuels and chemicals. They are among the largest grants ever awarded by USDA and follow a rigorous national competition. Approximately two-thirds of the funding of these grants is directed to research, with the remaining targeted to education and outreach/public awareness. The WSU-led grant aims to address the urgent national need for a domestic biofuel alternative for U.S. commercial and military air fleets. NARA researchers envision developing a new, viable, aviation fuel industry using wood and wood waste in the Pacific Northwest where forests cover almost half of the region. The Northwest also has established oil refining and distribution assets as well as a significant aviation industry. The project also will focus on increasing the profitability of wood-based fuels through development of high-value, bio-based co-products to replace petrochemicals that are used in products such as plastics. In addition to using wood and mill residues, the NARA project aims to develop new, wood-based energy crops and improve the economics of that industry with co-products as well. A major goal will be to address how to better understand and use wood lignin, a glue-like material constituting up to about 30 percent of some woods. Lignin is often considered to be one of the key issues adversely affecting economic viability for production of wood-derived plant chemical products. Lewis and Michael P. Wolcott, LP Distinguished Professor of Wood Materials and director of WSU’s Institute for Sustainable Design, will lead NARA. The current focus for NARA has been spurred by the recent harsh criticism of the U.S. biofuels industry for failing to translate existing technology into economically viable industries. Key challenges to be overcome by NARA include resolving various scientific/technical obstacles that prevent economic viability. Sustainability – economic, environmental, and social – is also key. NARA researchers will use specific metrics to assess and evaluate technological progress against critical milestones throughout the project. NARA includes Gevo, Greenwood Resources, Catchlight Energy (a joint venture of Chevron and Weyerhaeuser) and Weyerhaeuser from private industry, along with WSU, Montana State University, the National Center for Genome Resources, Oregon State University, Pennsylvania State University, Salish-Kootenai College, University of Idaho, University of Minnesota, University of Montana and UW, the U.S. Forest Service, including the Pacific Northwest Research Station and the Forest Products Laboratory, and the William D. Ruckelshaus Center, which is jointly operated by WSU and UW. The alliance’s private industry partners said they value the opportunity to join a larger effort. “This alliance will help foster the development of a biorefinery industry in the Pacific Northwest by aligning the region’s major academic institutions, forest product companies and land management entities around a common vision – to create a thriving bio-based economy,” he said.